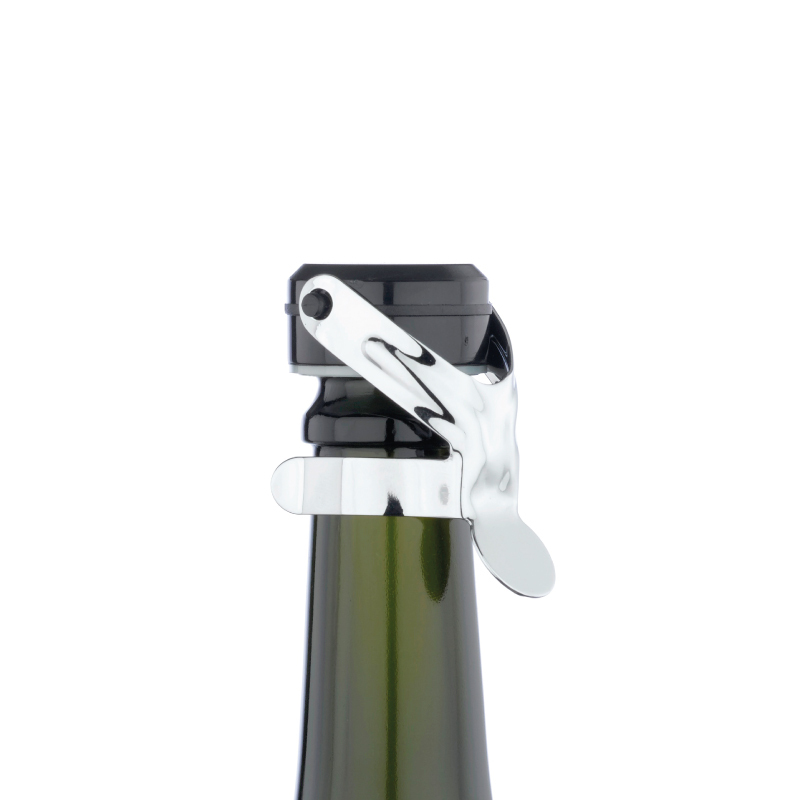 Famous patented bottle-sealing action keeps opened bottles of sparkling wine zingy and fizz-fresh for days. 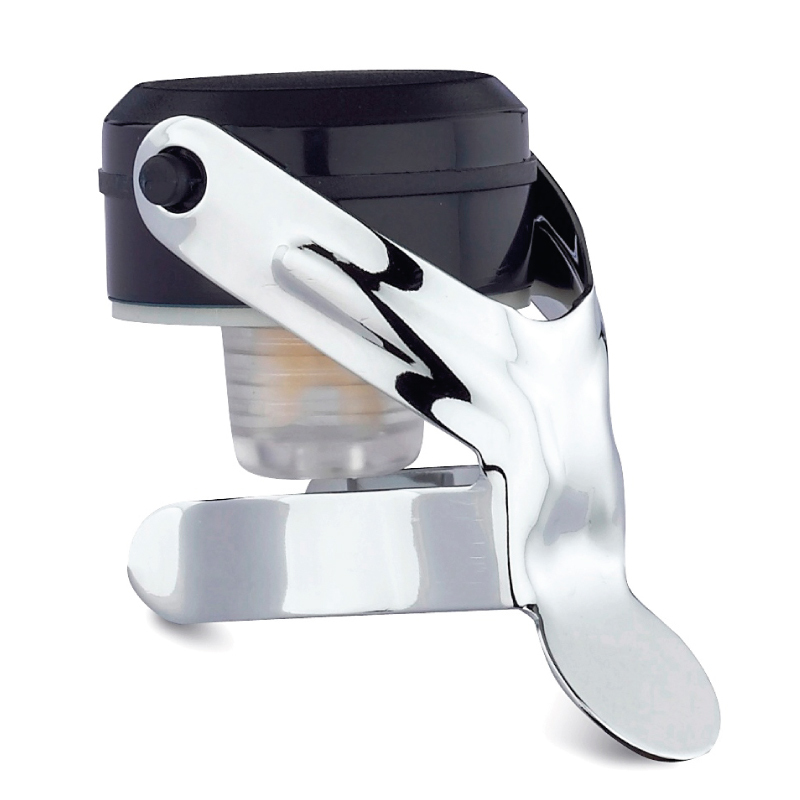 Retro Art 1920s design, with the classic single flip lever so beloved of cocktail barmen in the 20s and 30s. 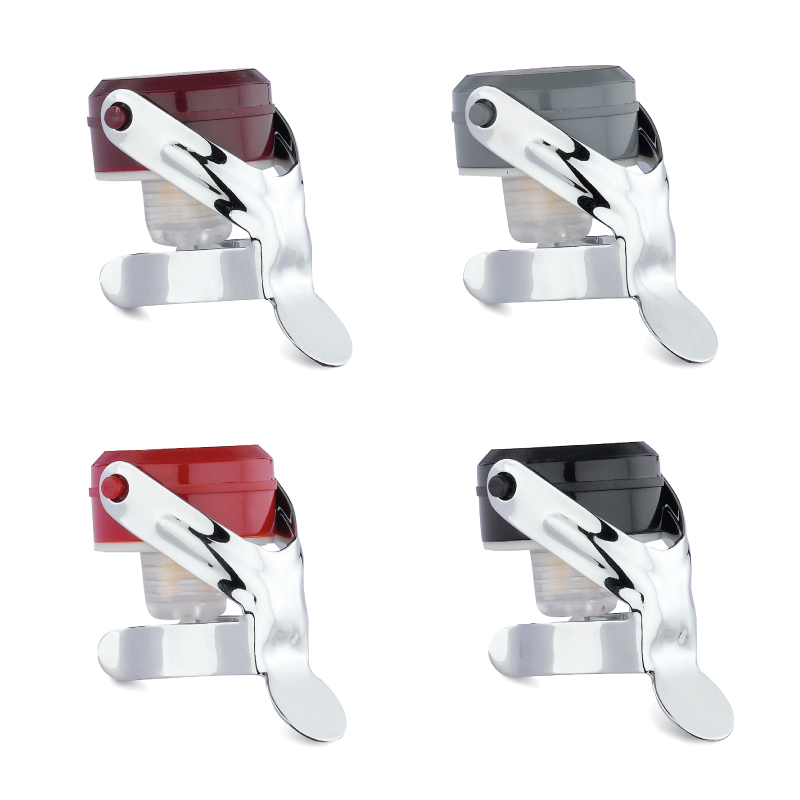 Personalised champagne stoppers available from just 250 pcs. 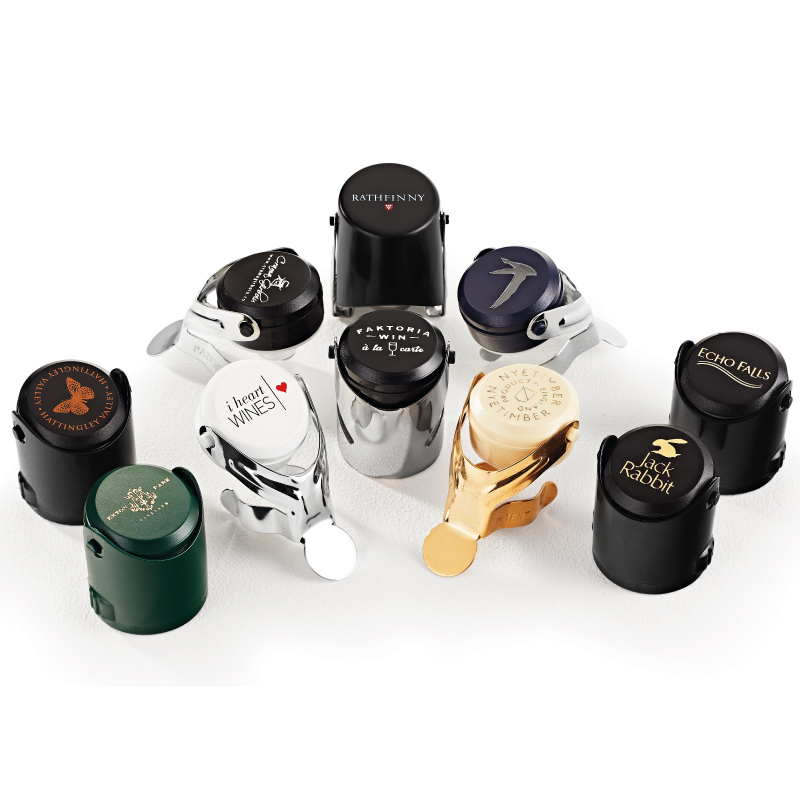 Pad print or hot foil stamp in Gold or Silver these sparkling wine stoppers with your custom logo.